Installation and maintenance test times are reduced through the transmission test sets' multi-rate/multi-port/multi-service capabilities. The J2127A product supports all line rates up to 10 Gb/s (OC-192/STM-64). Simultaneous Ethernet testing at 10/100 and 1000 Mb/s is also available. The J2126A supports all line rates up to 2.5 Gb/s (OC-48/STM-16). Both products support 1310 nm and 1550 nm wavelengths at 2.5 Gb/s and 10 Gb/s optical rates and provide a range of features as standard such as dual-standard SONET/SDH testing, DSn/PDH electrical rates, fully supported mappings at all rates, electrical pulse mask, service disruption measurement, performance analysis measurements and extensive 'Through Mode' testing. The overall cost of test is decreased through more comprehensive test coverage 'under one handle' thereby reducing the number of platforms and modules to support in the field. A choice of 3 different chassis sizes and modular upgrades to suit current and future test needs retains flexibility and future proofs any investment. Today's network elements have evolved to cope with the ever-increasing traffic volume and diversity of traffic types. 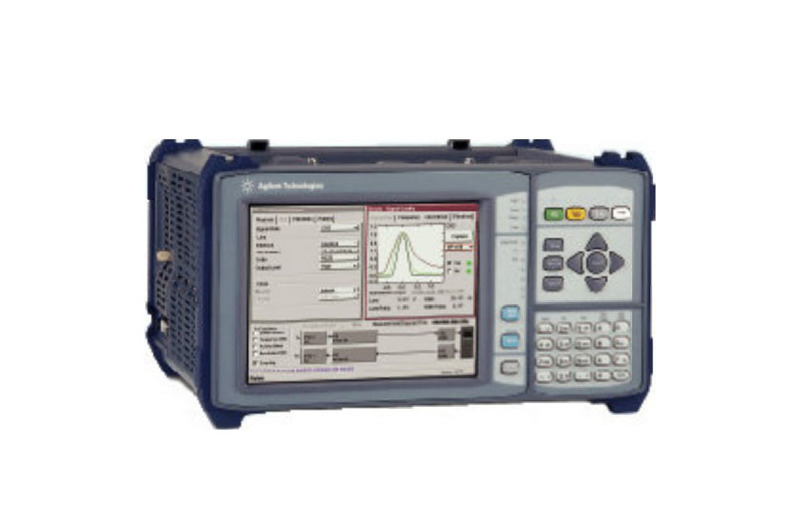 Agilent's field portable transmission test sets incorporate the latest in all-channel testing technology, users can now simultaneously monitor up to 192 network paths within a SONET/SDH transport signal in just two key presses. This latest test technology eliminates traditional, labour-intensive sequential testing without compromising measurement accuracy. The transmission test sets also automatically monitor the line signal and all STS/AU channels (up to 192) for errors, alarms and pointer activity. Channels carrying revenue-generating services are identified, as are path routing errors within the network. The J2127A version of the product can be configured as an 'Ethernet Only' product or as a simultaneous SONET/SDH, DSn/PDH, and Ethernet test set. Ethernet testing is carried out at both the physical layer & layer 2. The Ethernet test capability quickly and easily provides the three most fundamental measures of data-circuit performance: Data Throughput, Frame Loss and Latency. The test capability also features fully automated RFC 2544 tests. Click on the link below for more information. This application allows complete remote control of the transmission test set over LAN or dial-up modem connections. Configurations and measurement results can be transferred between a PC and up to 50 remote test sets.